In many ways, the legal sector has been slower than the health sector to democratise. There is still a focus on courts and judges, equivalent to the focus on hospitals and doctors. But concepts such as legal need and access to justice are gaining credence with, for example, the NSW Government developing for the first time a civil justice strategy. Here, Tessa Boyd-Caine writes of an important element of access, the health justice partnership. 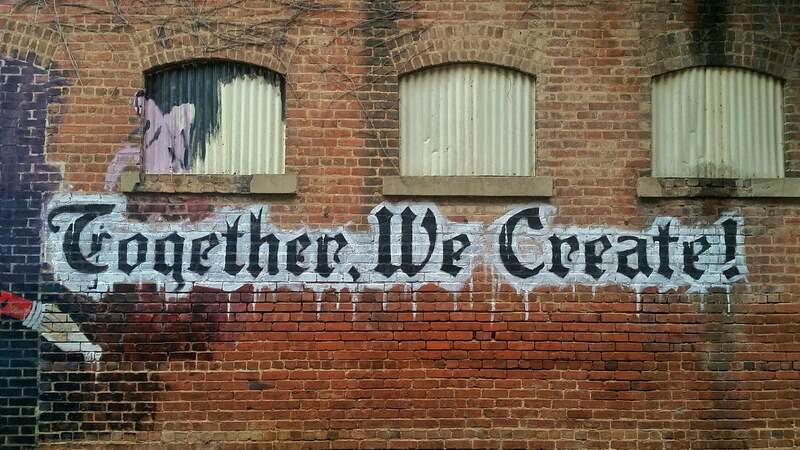 A quiet revolution is taking place across Australia that is transforming the way some of the most vulnerable people in our community access legal services. In a practitioner-led movement, community lawyers have been moving out of their offices and into the most unlikely of places – hospitals and community health settings – to collaborate with health services and their patients to address unmet, health-harming legal need. Known as health justice partnerships, these collaborations work by embedding a lawyer into a healthcare team. They have formed in response to a growing body of evidence that shows there are groups of people who are vulnerable to intersecting legal and health problems, but who are more likely to turn to health services than legal services for solutions. Since the World Health Organization’s groundbreaking Commission on Social Determinants of Health in 2008, the evidence has continued to grow about how factors beyond the medical, such as poor-quality housing, insecure work and family breakdown, drive poor health outcomes for individuals and communities. In 2012, a landmark Australian study into legal need established that over one-fifth of people in Australia experience three or more legal problems in a given year, many of which cause illness. People often do not seek advice for these problems; and if they do, they are more likely to ask a non-legal advisor, such as a health professional, than a lawyer. In light of this, the idea of including a lawyer in a healthcare team that regularly sees patients with these kinds of intersecting problems just makes sense. With increasing interest in how health justice partnerships can fill some of the gaps in health and human services comes an increased need to know more about how these services are currently operating: who is collaborating and where, how they are working together, who they serve and the assistance they provide. So in 2017, Health Justice Australia, the national centre for health justice partnerships, surveyed services working in this way across the country to build a foundational picture of the health justice landscape in Australia. We found that from a fledgling movement in 2012, with only a handful of services working in this way, there are now 48 services that identify themselves as health justice partnerships. They are located in almost all states and territories in a range of settings, including hospitals, community health settings and Aboriginal community controlled health organisations. They target a variety of populations, including women facing family violence, Aboriginal and Torres Strait Islander people, older people at risk of elder abuse, and people living with mental health issues. Some of the most interesting aspects of these services are the ways the health and legal partners work together. A key feature is the extent to which partners have supported each other with training and secondary consultation, as well as the shared goals of improving access to legal help, particularly to address health-harming legal need; the provision of holistic services; improved client health and wellbeing; and improved legal outcomes for clients/patients. ‘Mapping a new path’ provides an insight into how practitioners are leading the way in reorienting services around the needs of the people who use them. It provides a baseline picture that will support planning, evaluation and the development of a best practice health justice partnership model. Health Justice Australia’s report, Mapping a new path: the health justice landscape in Australia, 2017, is released today. 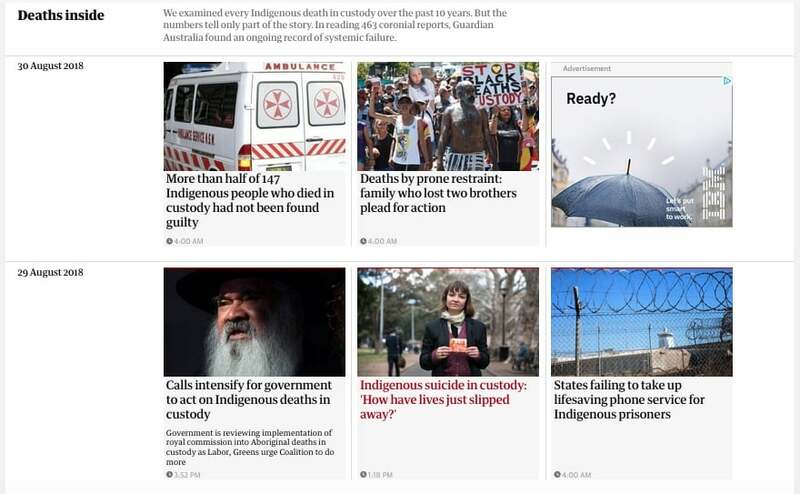 PostScript from Croakey: The importance of the health sector engaging much more proactively with justice systems is highlighted by The Guardian’s new investigation of every Indigenous death in custody over the past 10 years. 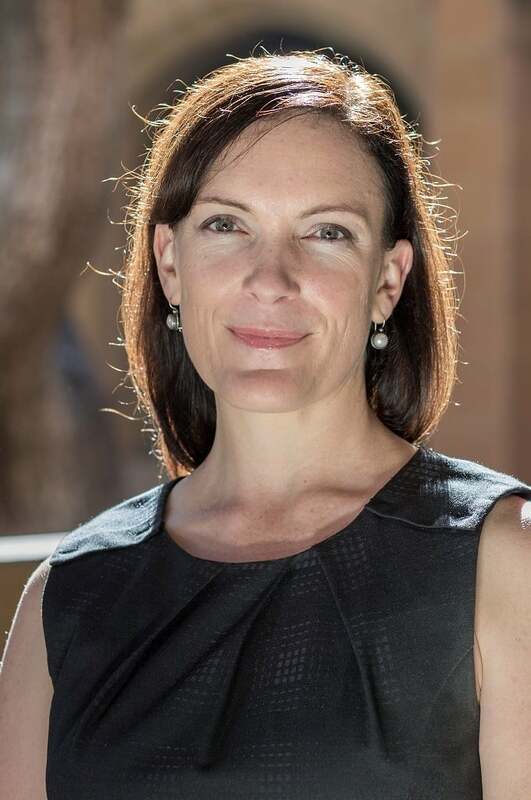 Dr Megan Williams, a UTS academic, contributing editor at Croakey and member of the #JustJustice project, is interviewed in this article examining suicides in prisons.